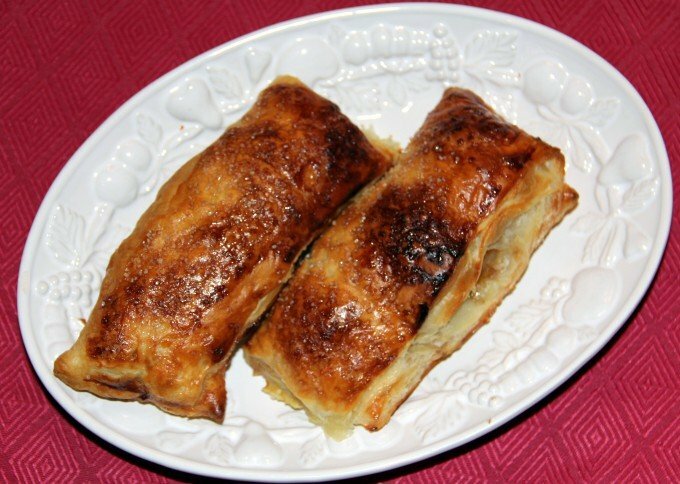 French Apple Turnovers - Super Easy with Puff Pastry! 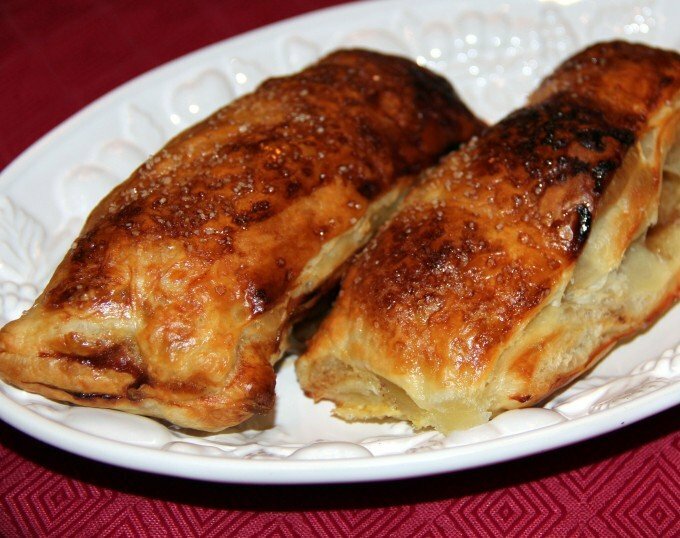 Easy French Apple Turnovers made with puff pastry and baked in the oven! Simple enough for a weeknight dinner and elegant enough for company! Classic French pastries, chaussons aux pommes or apple slippers, these turnovers are perfect for a weeknight dessert. 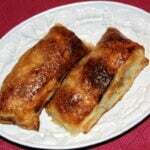 They are easy to put together and a little healthier than the Southern traditional fried apple pies. Using puff pastry, you make beautiful apple turnovers that bake in the oven and turn out pretty enough for company. You can make these turnovers ahead of time and pop them in the oven while eating dinner. Serve with a little vanilla ice cream and you have a perfect, easy dessert for any time. 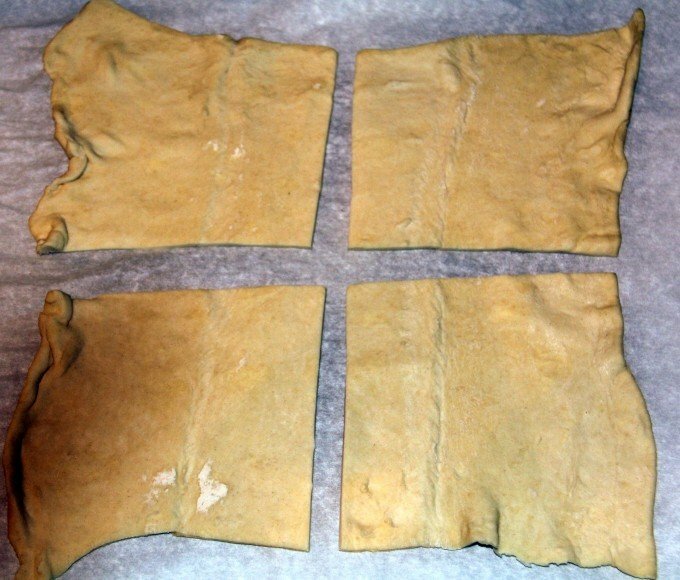 Start with a sheet of thawed puff pastry and cut into four equal rectangles. Next, melt butter in a 12-inch skillet and add apple slices. Cook until softened, stirring frequently, about 5 minutes. 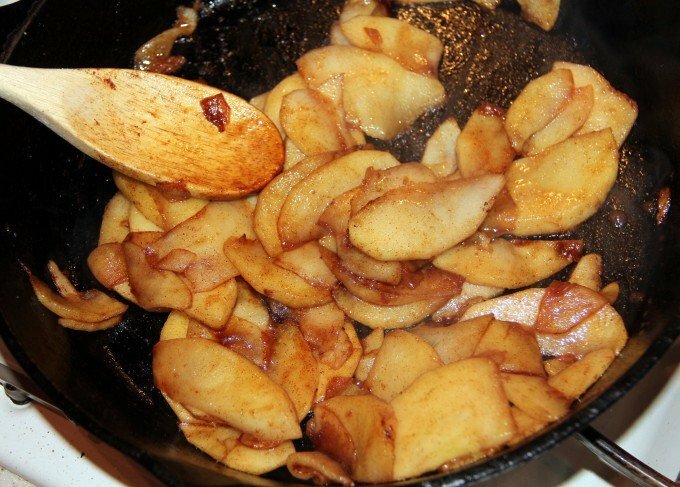 Sprinkle brown sugar, vanilla, cinnamon and salt over the apples and cook for another minute or two. Remove from heat. In a small bowl, beat the egg with 2 tablespoons water, then lightly brush the edges of the pastry pieces with egg wash. Spread a couple spoonfuls of apple on one half of a piece of pastry, leaving the egg-washed border open. Fold the pastry half with no apples over the apples, long side to long side. Press and seal the edges tightly. Finish all four pastries and then transfer to a lightly greased large rimmed baking sheet. Brush the tops with remaining egg wash and sprinkle a little granulated sugar over each pastry. Bake until golden and puffed, 15-16 minutes. Serve warm with vanilla ice cream. Slightly adapted from Fine Cooking’s French Apple Turnovers. An easy apple turnover that's perfect for a weeknight dessert. Melt butter in skillet and add apples, stirring frequently until softened, about 5 minutes. Sprinkle apples with brown sugar, cinnamon, nutmeg and salt. Cook for another minute or two. Remove from heat. In a small bowl, beat the egg with 2 tablespoons water. Lightly brush the edges of each pastry piece with egg wash. 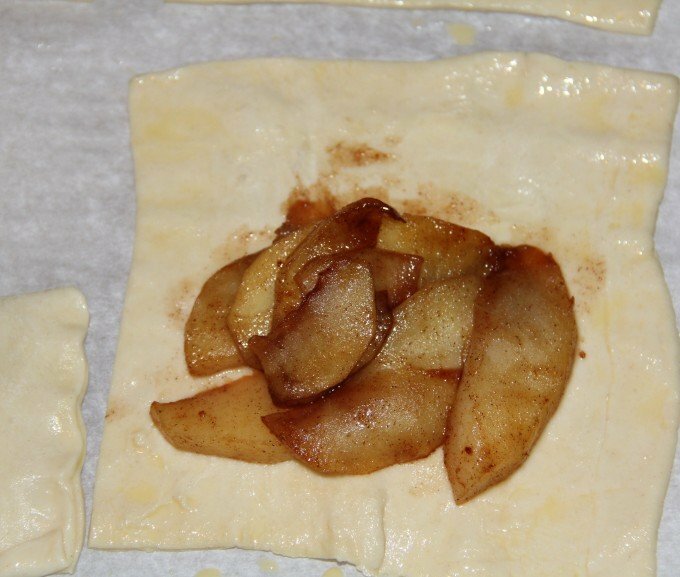 Spread apples on half of each pastry piece. 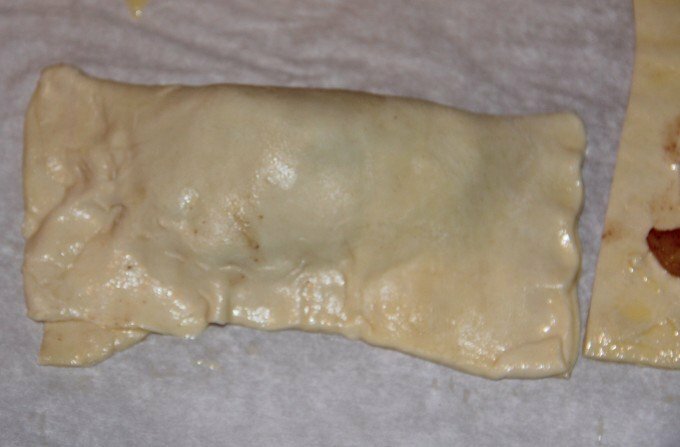 Fold over the empty pastry half, and press and seal the edges tightly. Place the pastries on a lightly greased large rimmed baking sheet. Bake for 15-16 minutes, until puffed and golden. Slightly adapted from Fine Cooking's French Apple Turnovers.